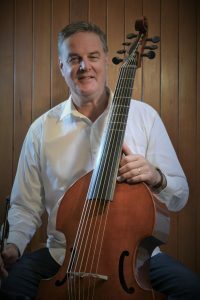 Brett has been a full time cellist with both the Australian Opera and Ballet Orchestra and the Tasmanian Symphony Orchestra. He was a founding member of the Trigon ensemble in Hobart, a string trio which broadcast for the ABC radio and television. More recently, Brett is a founding member of the Kettering Piano Quartet which has a regular concert series around Tasmania. Brett also has a very keen interest in early music and has played Viola da Gamba in several ensembles, and currently performs with the ensembles Sequenza and Van Diemen’s band.